In today's world, security is an important factor to consider in every aspect of life. 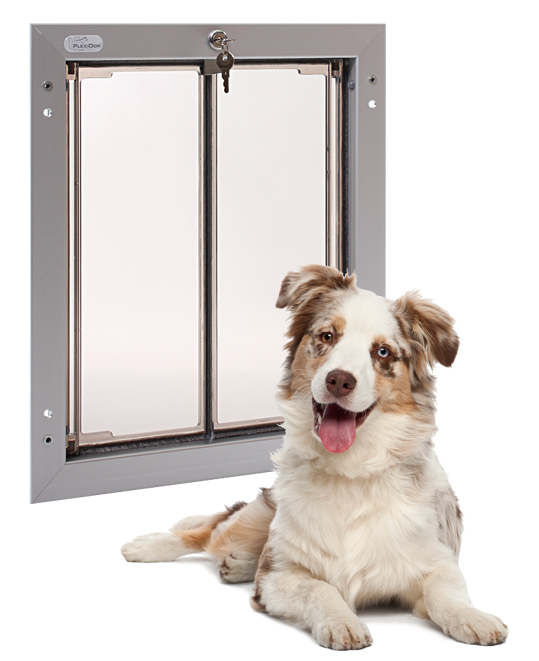 A pet door creates one more opening to the home, and many might hesitate to install a dog door out of fear of robbers and other unwanted persons. When you purchase a PlexiDor, it comes with a lock and key. The lock features a steel cam inside a hardened metal cylinder. 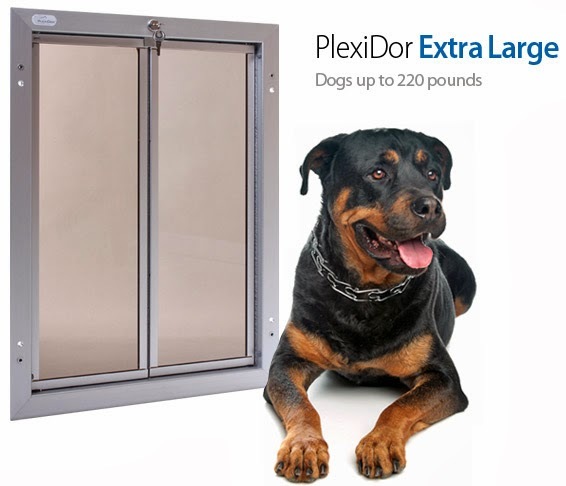 The PlexiDor size medium, large, and extra large also come with a steel security plate. The small door doesn't have the plate, because it's too small for anyone to get in through. 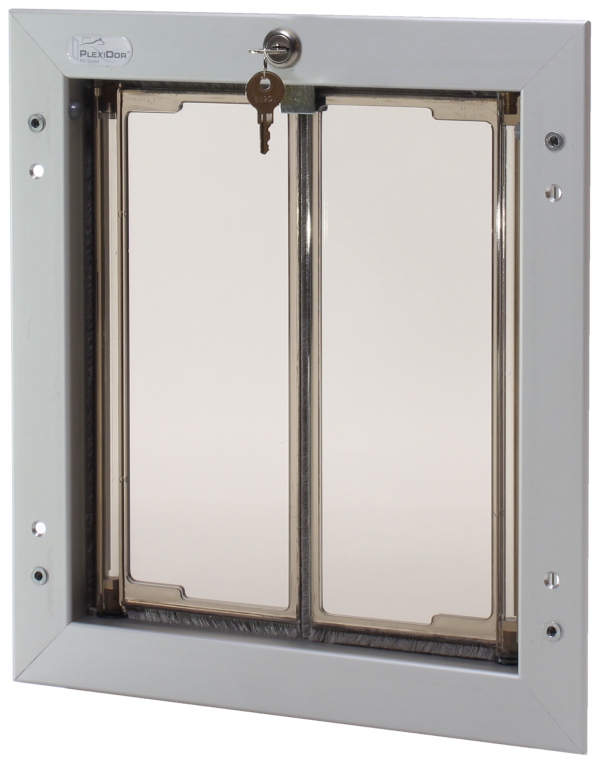 The plate attaches to the door frame and can be installed whenever needed - many like to use it during the night, or when leaving the home for an extended period of time. The steel plate can also work as a signal to the pet that the door is locked. Many worry about other pets than their own gaining access to the home through the pet door. 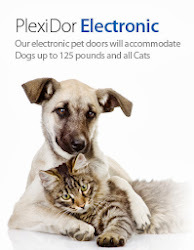 There is an electronic version of the PlexiDor that only opens for pets with a key. The door works on an RFID system, and when the pet carrying the key comes close enough to the door, the panel slides open. There are millions of codes to choose from, and the door will only open for the right combination.